Did you know you can book a stay at Bickleigh Castle through our website? View our Exeter B&B page to view our rooms and prices. We have great offers for stays of two nights or more in our standard and superior rooms, and the Tudor Room in the Castle itself! A substantial or light breakfast can be enjoyed in our Orangery; evening meals are usually available at any of four local eating places (three within easy walking distance). Children are very welcome. 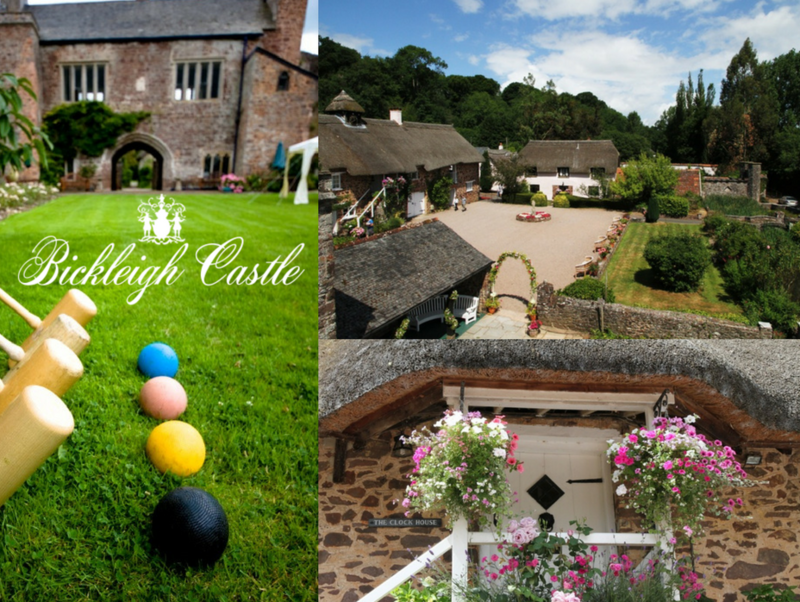 The Castle is a fine base for outdoor activities such as walking, cycling, kayaking (on the Exe), and running, and we have an excellent Croquet lawn and all-season hard Tennis Court. There is also fly-fishing (mainly for trout) on the river at £30 per day (waders etc needed) and we can arrange for you riding and clay-pigeon shooting. Or you can simply relax in our guests’ sitting room or our gardens, or visit some of the many interesting places nearby. If you enjoy history, do not miss the one-hour guided tour of the Castle! Please phone the B&B line, 01884 855796 or email bickleighcastle.bandb@btconnect.com to discuss any special arrangements. Please note that weekends in the Summer are only rarely available owing to Wedding reservations.